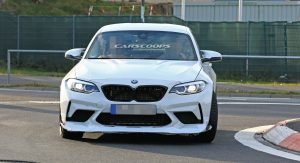 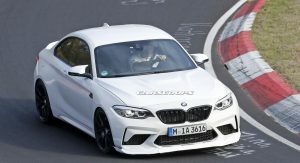 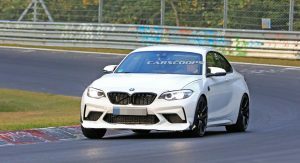 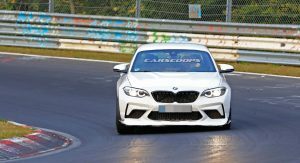 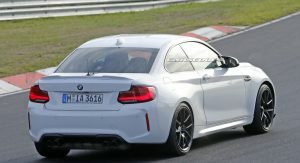 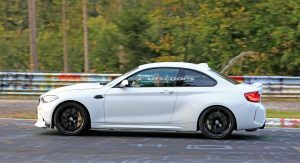 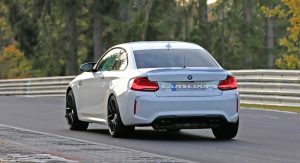 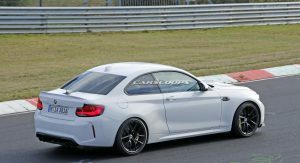 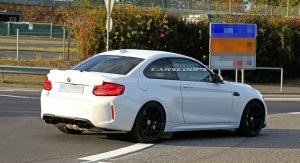 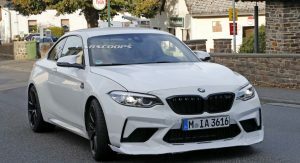 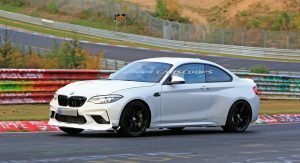 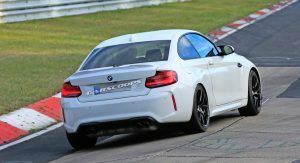 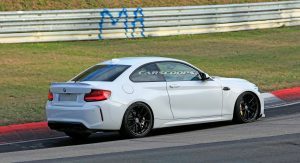 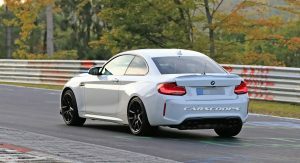 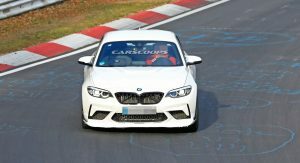 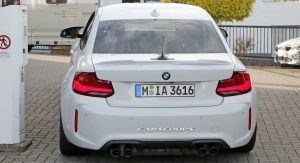 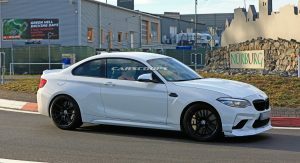 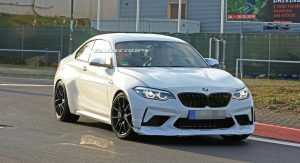 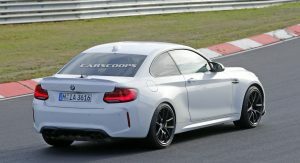 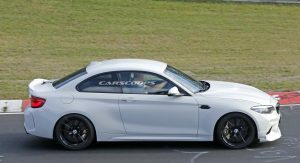 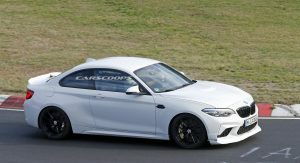 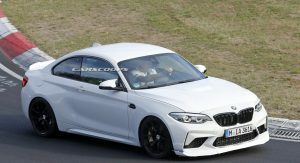 Rumors about a BMW M2 CS and CSL have been swirling around for years, but spy photographers may have finally caught the mythical beast on the Nürburgring. 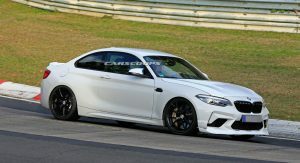 While there have been false alarms in the past, this prototype is certainly more aggressive than the M2 Competition. 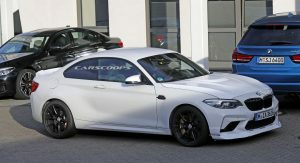 The styling changes aren’t radical, but the car has been equipped with a larger front spoiler and what appears to be a power dome hood. 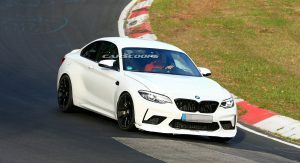 The bulge is pretty noticeable in certain pictures and it’s not present on the M2 Competition. 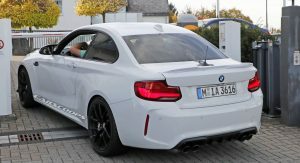 Elsewhere, designers installed a larger rear spoiler and a more aggressive diffuser. 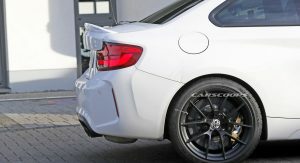 Spy photographers also said the car was equipped with a carbon ceramic braking system with gold calipers. 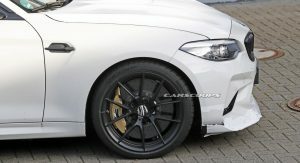 The calipers and black wheels could give us a hint at the car’s identity. 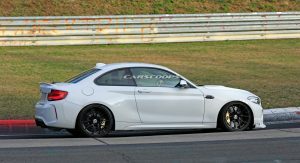 As you may recall, the M3 and M4 CS featured similar wheels to this prototype and both were equipped with gold calipers. 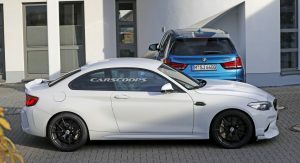 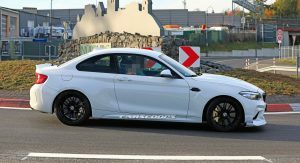 Previous reports have suggested the M2 CS will be a limited edition model that is available exclusively in the United States. Additional information is limited, but rumors have suggested the CS will be lighter than the standard model and have an upgraded twin-turbo 3.0-liter six-cylinder engine. 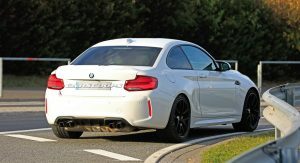 There’s no word on how power we can expect, but the M2 Competition has 405 hp (410 PS / 301 kW) and 406 lb-ft (550 Nm) of torque. 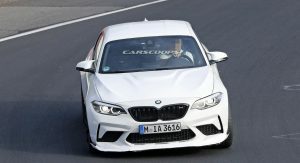 This enables the car to accelerate from 0-60 mph (0-96 km/h) in four seconds when equipped with the optional seven-speed dual-clutch transmission. 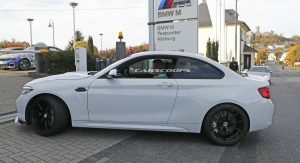 Even less is known about the rumored CSL, but reports have indicated the car will be available globally and could have a one-year production run. 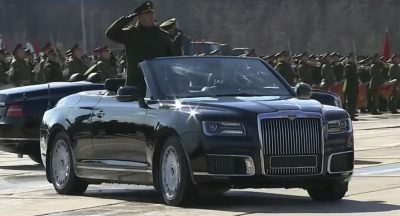 The Kia grille got a little bigger I see. 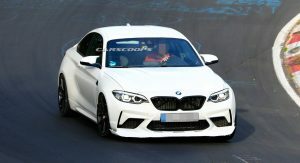 It’s the same size as the current M2/CS. 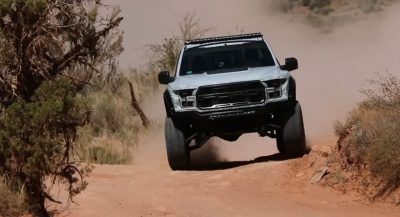 I think you missed the underlying theme and visual connection. 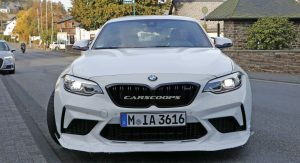 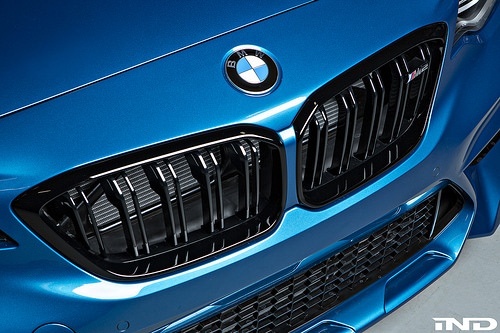 Since they joined the “Signature Double Kidney Grille”, (which has been an iconic element that is the strongest BMW element-even more so than the Hoffmeister kink- as I’m sure you must know), [after all, a face is considered more a recognizable trait than an upper shoulder] it looks like a KIA grille. 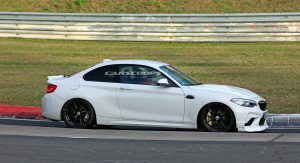 Only larger. 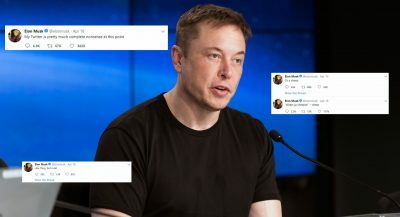 IND has a solution for that. 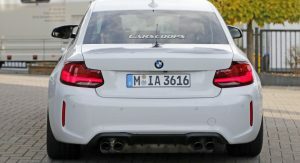 Needs a bigger spoiler…If it helps or not! 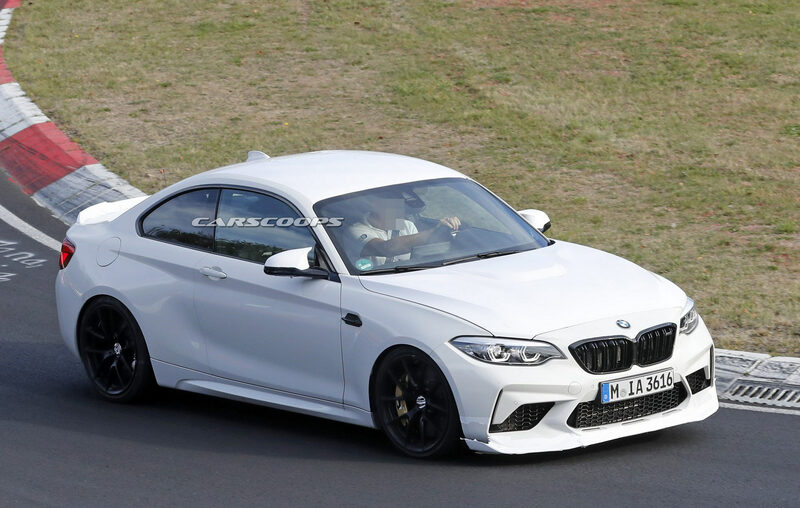 Love the front bumper and new wheels. 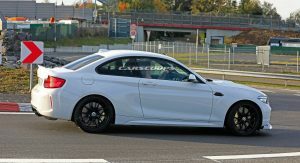 Easily the best looking 2-series to date. 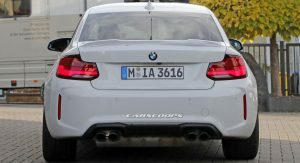 Just wish they’d have updated those hideously cheap looking tail lights by now.